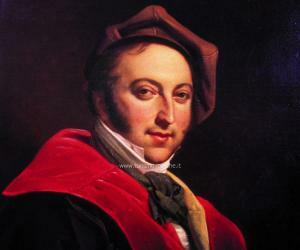 Gioachino Rossini was a great Italian composer, who left an everlasting impression on the successive generations. This biography is a brief of the profile, childhood, life and timeline of this great musician. Gioachino Rossini was born in a family devoted to music. 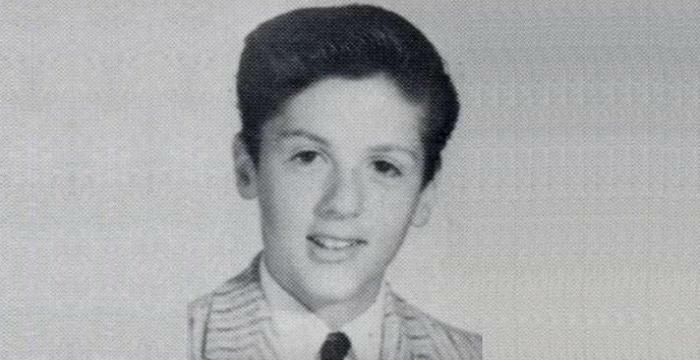 He was a child prodigy and at the tender age of six, he started playing triangle in his father’s band. Since both his parents were involved in operas, Rossini had a direct exposure to this world. He composed his first opera, “La cambiale di matrimonio”, at the age of 18. He produced some exceptional operas, like “La pietra del paragone and Il signor Bruschino”, which were notable for their musical excellence. “The Barber of Seville”, which immortalized him in the minds of music aspirants all over the world, is considered as his masterpiece. He was a fast composer and inexhaustible too! His ‘The Barber of Seville’ is said to have been composed in just twelve days. His compositions demanded dexterity of the opera singers of his time. He was known to be innovative and influenced generations of opera composers. Read the following section to learn more about this musical maestro. Gioachino Rossini was born in Pesaro, Italy on February 29, 1792. His father, Giuseppe was a famous trumpeter of the town and also worked as an inspector of slaughterhouses while his mother was a singer. Rossini started to play triangle in his father’s bandat a young age of six. Rossini’s father was associated with Napoleon Bonaparte’s troops during the French Revolution, and was prisoned when the old Austrian regime restored. His mother then took Rossini to Bologna and his father joined them after he was freed in 1800. Under the supervision of Angelo Tesei, Rossini learned piano. 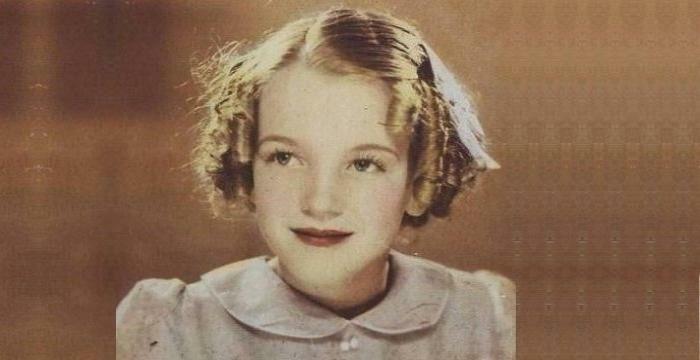 He also sang well and started singing solo parts in the church, at the age of ten. He began to compose string sonatas, at the age of twelve. His first exposure to theatre was in 1805 as a singer in Fedinando Paer’s, ‘Camilla’. Rossini composed his first opera when he was fourteen, however it was staged six or seven years later and premiered as his sixth official opera. In 1807, Rossini was enrolled in the counterpoint class of Padre P.S. Mattei, and then, he learnt cello from Cavedagni, in Bologna. He learned cello with ease, but did not like the strictness with which he was taught counterpoint by Mattei. Rossini was called ‘il Tedeschino’, meaning ‘the little German’, owing to his devotion to Mozart. Rossini’s first ever opera, ‘La Cambiale di Matrimonio’ (The Marriage Contract), was produced in Venice in 1810. During 1810-1813, he produced a number of operas while travelling through different countries like Bologna, Rome, Venice and Milan. 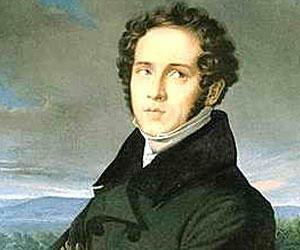 His career as a composer gained new heights with the success of his opera, ‘Tancerdi’ in 1813. ‘Tancerdi’ and ‘L’italiana in Algeri’ brought him international fame at a young age of twenty. He was an established opera composer in Italy and continued to write operas both for Milan and Venice. However, the success of ‘Tancerdi’ set high expectations among his listeners which affected his success. So, he decided to go back to Bologna in 1815. 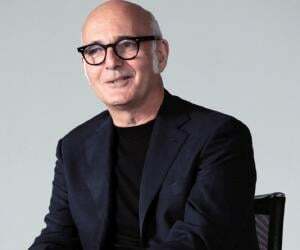 He signed a contract with Domenico Barbaia, the manager of the Naples theatre, as the director of ‘Teatro di San Carlo’ and the ‘Teatro Del Fondo’. As per the contract, Rossini was supposed to compose one opera each year and the remuneration was 200 ducats per month. He also had a share in the gambling tables set in the theatre, which summed up to about 1000 ducats per annum. In Naples, Rossini composed ‘Elisabetta, regina d'Inghilterra’, a great success, which had Isabella Colbran as the lead singer, who eventually became his wife. Rossini’s work, ‘Il barbiere di Siviglia’ (The Barber of Seville), was premiered on 20th February, 1816, in Rome. With the immense success of this work, his popularity increased manifold. Rossini was idolized for this libretto and his popularity lasted for more than a quarter century. He composed about twenty operas between 1815 and 1823, of which ‘Otello’ is well-known for its compositional excellence. Unlike his typical comic operas, this was a serious one. There were ups and downs in his career with ‘La Cenerentola’ and ‘Le Barbier de Séville’ being great successes while ‘Mosè in Egitto’ being a big flop. In 1822, Rossini married the distinguished opera singer Isabella Colbran and moved to Vienna from Italy. His operas in Vienna were widely accepted. He returned to Bologna on invitation from Prince Metternich to “assist in the general re-establishment of harmony”. In 1823, Rossini moved to England on advice from the manager of the ‘King’s Theatre’ in London. He was already renowned in Paris and became the musical director of ‘Theatre des Italiens’ there, the very next year, with a salary of £800 per annum. His rising popularity brought him a contract from Charles X, to compose five new operas in the span of a year. Between 1824 and 1829, Rossini composed two comic operas, ‘Le Comte Ory’, and ‘Guillaume Tell’, of which, the latter is considered to be the last of his operatic career. This was a breakthrough from his conventional way of composing. ‘Guillaume Tell’, also called ‘The overture’ or ‘William Tell Overture’, was an instrumental introduction to the world of opera and served as a model for the romantic overtures throughout the 19th century. After ‘Guillaume Tell’, Rossini took a semi-retirement from operas but, continued to write cantatas and other songs. After the death of his mother in 1827, he wanted to be with his father, which led him back to Bologna in 1829. However, in 1830, he returned to Paris to work for an opera. 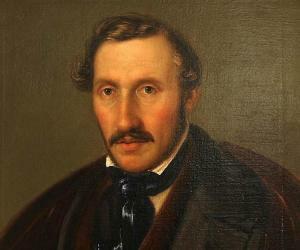 In 1832, he wrote the first six movements of his ‘Stabat Mater’ and the rest six were composed by Giovanni Tadolin, another musician, at the request of Rossini himself. It was as great a success as his previous operas. In 1845, Rossini’s first wife, Isabella died and Rossini married Olympe Pélissier on 16 August 1846. He left Bologna in 1848, owing to political turbulences, and went to Florence. Finally, he settled in Paris in 1855. Rossini was a foodie and also an amateur chef and, after his retirement, he took up cooking passionately. Even today, there are a number of dishes named after him, with suffices like “alla Rossini”. Rossini suffered for years from physical and mental illness. His return to music was quite subtle and his later compositions were meant only for private performances. Of these, ‘Péchés de vieillesse’ ("Sins of Old Age"), was notable. He succumbed to pneumonia at the age of 76, at his house in Passy, on 13 November 1868. His burial took place in ‘Père Lachaise Cemetery’ in Paris. Later, in 1887, his remains were shifted to the ‘Basilica di Santa Croce di Firenze’, in Florence. Petite Messe solennelle – composed for 12 solo voices, two pianos and harmonium. Stabat mater – for chorus and soloists. Went to Bologna with his mother after his father was imprisoned. His first appearance as a singer in the theatre of Commune. Rossini became a student under Cavedagni for learning cello. His first opera ‘La cambiale di matrimonio’ was produced. Rossini returned to Bologna and became the musical director of ‘Teatro di San Carlo’ and the ‘Teatro del Fondo’ in Naples. He composed ‘Il barbiere di Siviglia’ (The Barber of Seville), his best opera ever. 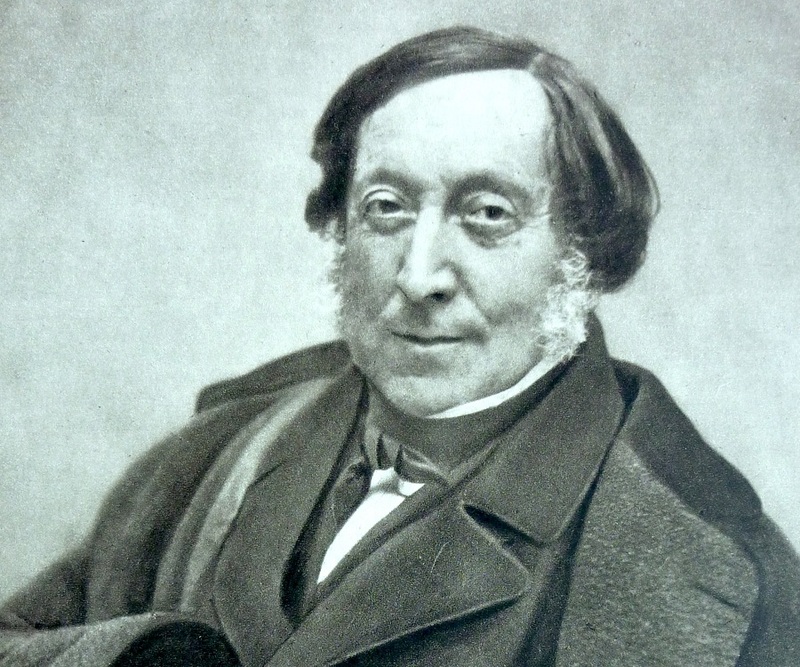 Rossini was invited to England and became the musical director of ‘Théâtre des Italiens’ in Paris. He produced ‘Guillaume Tell’, the last of his operas and returned to Bologna. The first six compositions of ‘Stabat Mater’ were written by Rossini. The death of his first wife. His re-marriage to ‘Olympe Pélissier’ took place. He died of pneumonia in his house at Passey.